So you see a red zone in the middle of the map labeled as “The Dark Zone”. But what exactly is it? Here’s our quick and painless Dark Zone starter guide. The Dark Zone is the quarantined area that was hit the hardest by the virus. hybrid PvE/PvP area that drops better quality loot than the normal PvE area. Doing PvP is completely optional however, and doing so will mark you as “Rogue”. Which will also notify the entire Dark Zone that you are a hostile agent. While inside the Dark Zone, you will earn separate currency, experience points and level from the main game. You will NOT gain player levels, only Dark Zone levels. Vendors inside the Dark Zone sell items and blueprints but these have Dark Zone level requirements to be able to purchase them. The strongest gear you can buy has a requirement of Dark Zone level 50. What do we do in the Dark Zone? 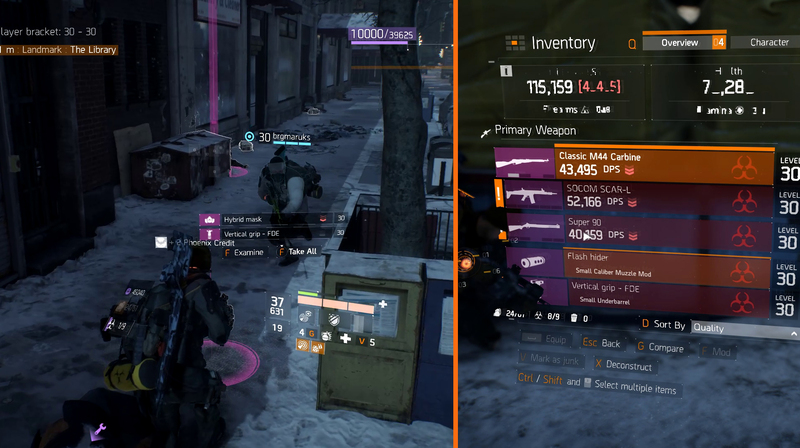 Two things, killing mobs and hunting Division Tech, the Dark Zone specific crafting material. 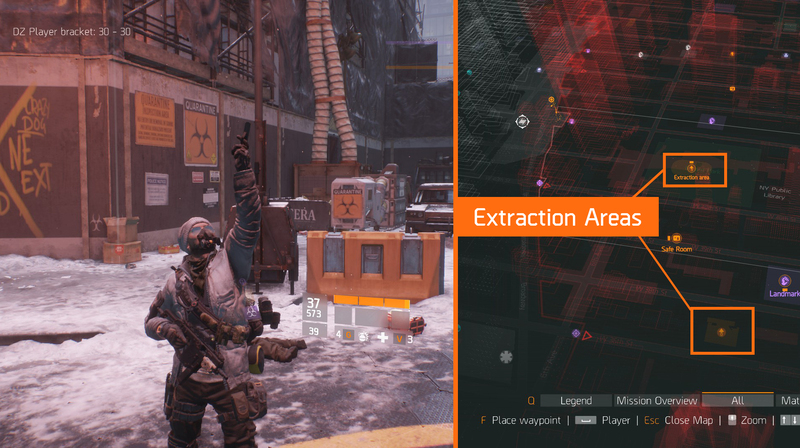 You will need Division tech to craft any blueprints you have purchased from the Dark Zone safe houses. 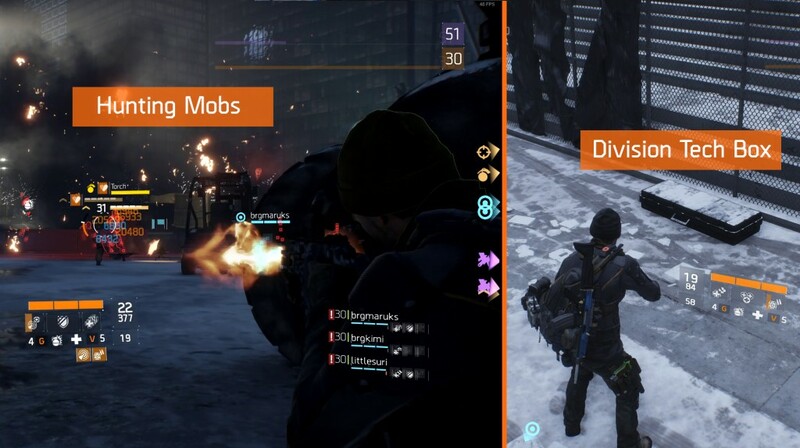 Most mobs in the Dark Zone are veteran (purple) and elite (yellow), with a lot of named elites. The named elites drop the highest quality loot and are usually much tougher to beat. The Dark Zone is also separated into zones DZ01-DZ06. The higher the DZ number, the tougher the enemies. All loot you pick up from the Dark Zone is marked as contaminated. To be able to use these items, they need to be extracted by helicopter from specified extraction zones. You can have up to 9 contaminated items in your Dark Zone inventory. Extracted items are sent to your personal stash and you can have up to 30 extracted items. One warning however, if you do die, you will drop 3 items from your Dark Zone inventory that ANYONE can pick up. There are also different types of chests inside the Dark Zone. The best quality loot is found in the locked Dark Zone chests which require Dark Zone keys to open. Clearly marked zones on your map where you can extract your contaminated items. Once you call for an extraction, you have 90 seconds until the helicopter arrives. Be careful though, the entire Dark Zone is notified that there is an extraction in progress and almost always, even enemy mobs are attracted to the extraction call. 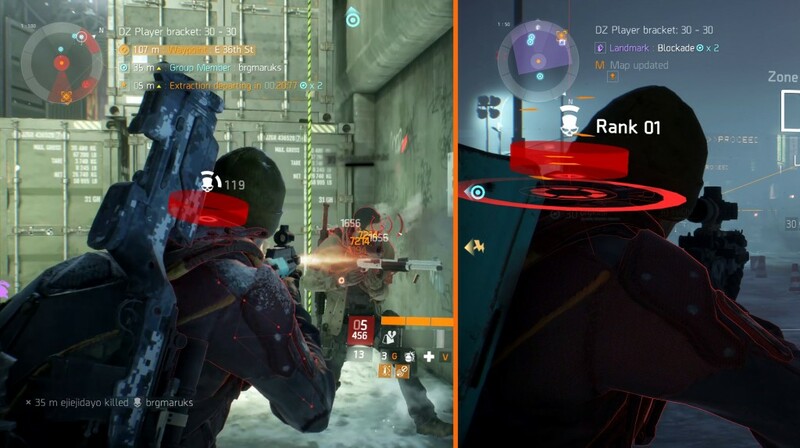 Doing actual PvP, will mark you as a hostile agent to the entire Dark Zone. Once you are marked as a rogue agent, a timer begins until you are considered a non-hostile agent. If you do survive, you are rewarded with some Dark Zone currency and experience. One of the biggest advantages of going rogue is getting another agents loot. 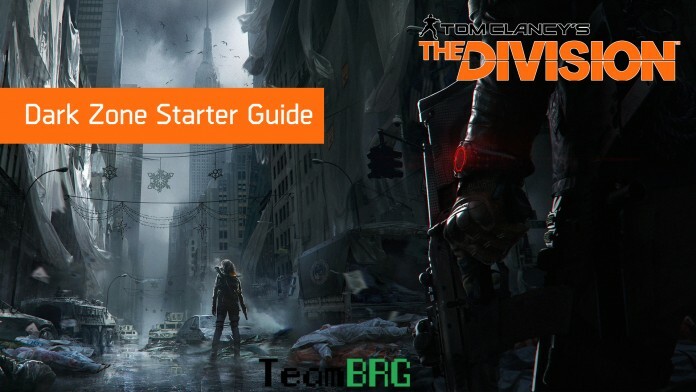 That’s it for our Dark Zone starter guide for The Division! Stay tuned for more end game guides coming soon! I stumbled upon your page by accident. I must say as now a “veteran” of The Division ( lol ) Its very well done and explained. 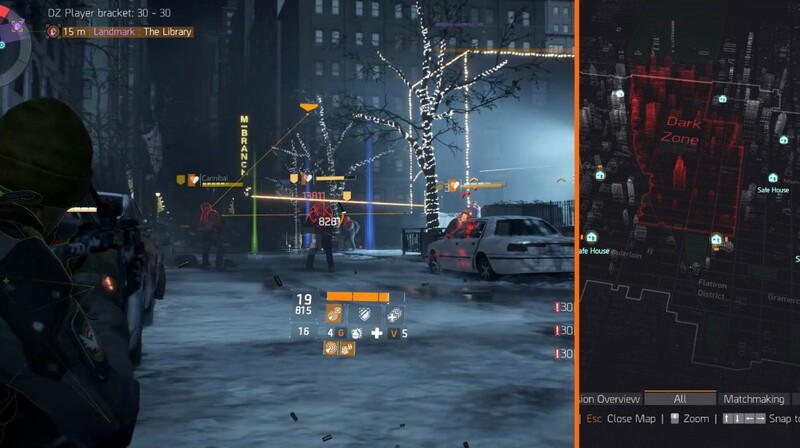 I wish there was something like this when the game came out about the dark zone because it was very confursing, stressful etc… You might want to add an explanation about the safezones in there and what you can buy etc… That and what the Phoenix Credits are for and the Scavenging % bonus for chests and bosses drops. Other than that good job buddy, keep it up.